Many commonly describe Bangalore as the “Silicon Valley of India” because of its flourishing IT-sector, and to fit into this picture of success, models of Western cities are about to transform the city. Just like the colonial city, the modern city is built to reflect prosperity. This showcases a city based on social, geographical and economical inequities, built not for the needs of society but for the government, policymakers and the wealthy. The structure of the city also clearly reflects this. 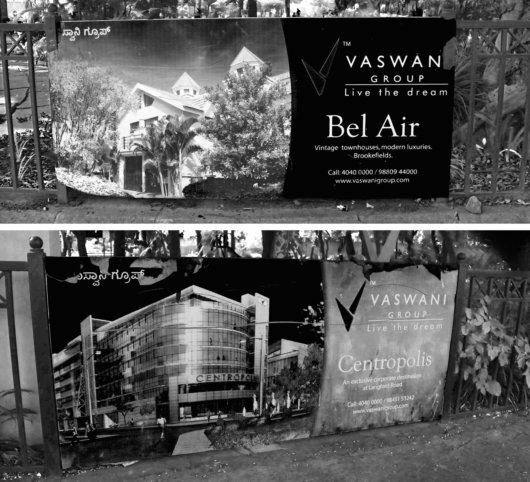 The trend we see taking place in Bangalore today, parallel to major cities around the globe in Asia, Europe, South America, Middle East and Africa, is that high-income individuals choose to live in gated communities that present an “ideal way of life.” Bangalore now offers accommodation in places with names like Bel Air and Elite, large apartments embedded in greenery with an open plan arrangement . Geographer Richard Ballard describes this phenomenon as “emigrating to a foreign paradise.” He calls it “semigration”, i.e. citizens who choose to remain living in their home country, but in islands of modern western culture. Gated communities in Bangalore, inspired by western lifestyles. These islands in the city, which are often entirely disconnected from each other by large distances, link together through roads. In Bangalore, a new rising trend is private highways, often in the form of flyovers, link gated communities with jobs and business centers in the city. Previously, the street served as one of the most important meeting places for various social groups, but when the uses and functions of the public streets start to lose their significance, so do these social connections. So where does the little slum settlement of Leprosy Colony fit into this picture? 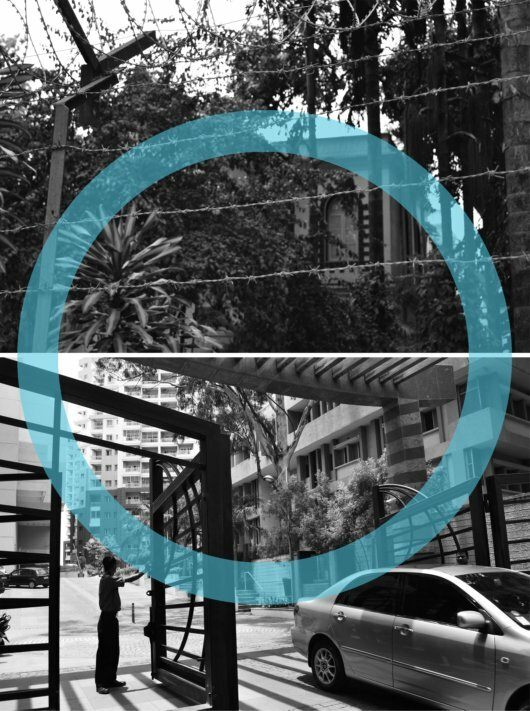 The gated communities surround themselves with high fences, armed guards and barbed wire. Swedish journalist Göran Dahlberg described them as “self-imposed secret cities.” There are however also those Dahlberg describes as just “secret cities.” These areas and even entire neighborhoods in the city do not have high walls and barbed wire, but have social barriers that enclose these guarded, gated communities. According to Dahlberg, the self-imposed secret city wants to be secret while the secret cities just are secret because someone wants to hide them away. Security surrounds the wealthy “self-imposed secret city”. 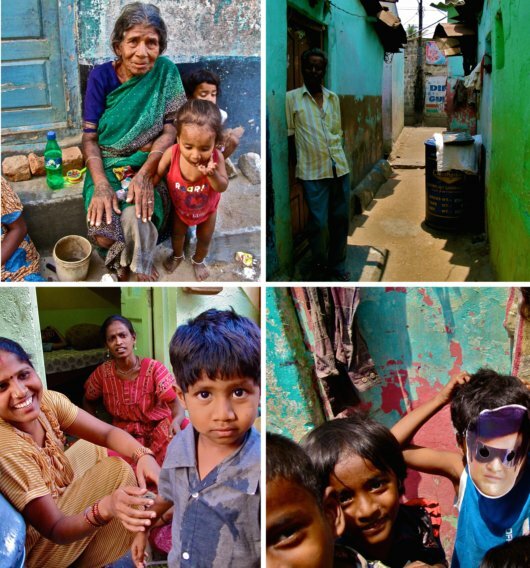 A slum like Leprosy Colony is too “unknown” to fear. It is a neighborhood that someone wants to hide away and a “secret city”, whether or not its residents want this. These two types of secret cities–the slum’s forced secrecy and the middle income community’s chosen secrecy–co-exist in the city, and their paths seldom cross, except through the work of domestic helpers and private drivers. Nevertheless, despite their very different appearance, they are actually quite similar. Both are simultaneously semi-formal societies within the city, formal societies with informal elements, or even informal societies with formal elements. Leprosy Colony is that too “unknown” to be feared — a neighborhood without high walls and barbed wire, but with social barriers that constitute as much of enclosure as the guarded, gated communities. Informality is thus not merely a characteristic of poor neighborhoods. More affluent citizens, like the middle class and even the elite of both second and third world cities, carry out illegal land occupations. Upscale informal subdivisions emerge next to squatter settlements, violating land use regulations as much as its poor neighbors. Both are informal, but manifest legitimacy in very different ways. Post by Stina Hellqvist and Johanna Bratel. Stina is originally from the small town of Stjärnsund in Dalarna, Sweden. She received a B.S in Landscape Architecture from SLU in 2008 and has since then been studying Landscape Architecture and Urban Planning at SLU and Cornell University. She has also spent one year as a landscape architecture intern in a firm in London, UK. Johanna is currently living in Malmö in the south of Sweden, she received a B.S in Landscape Architecture from SLU in 2008. Since then she has continued her studies in Landscape Architecture and Urban Planning at SLU as well as Corvinus University of Budapest. She also worked as a producer in New York in spring of 2010.